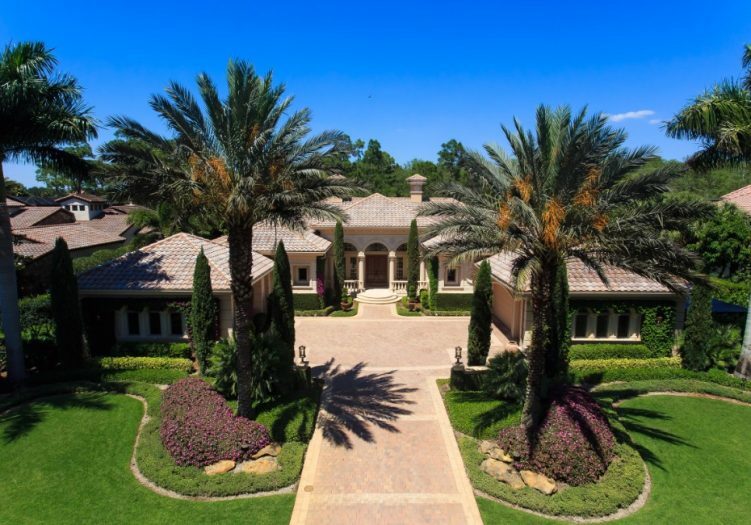 Enjoy tropical paradise views in this extraordinary estate home in Padova of Mediterra emphasizing luxury, comfort and privacy with serene preserve views from the lanai. 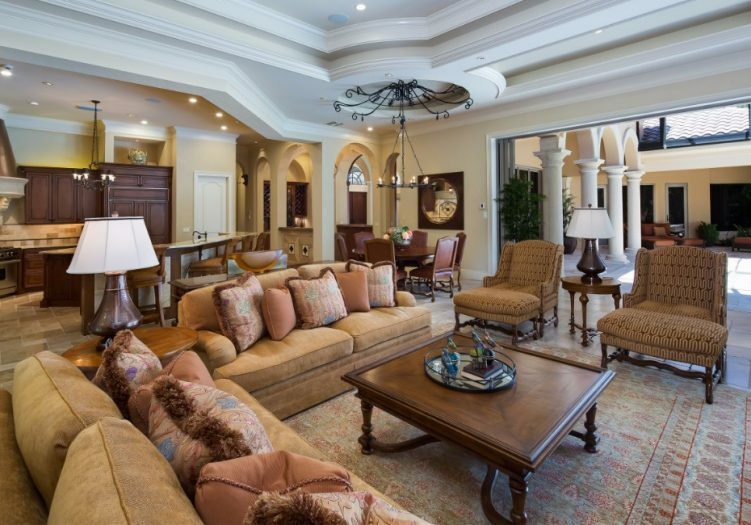 Some of the many upgraded features throughout include volume tray ceilings, expansive high impact glass windows, indoor/outdoor sound system, integrated lighting & top of the line home security system, beautiful stone flooring, carpeted bedrooms and wood flooring in the den. 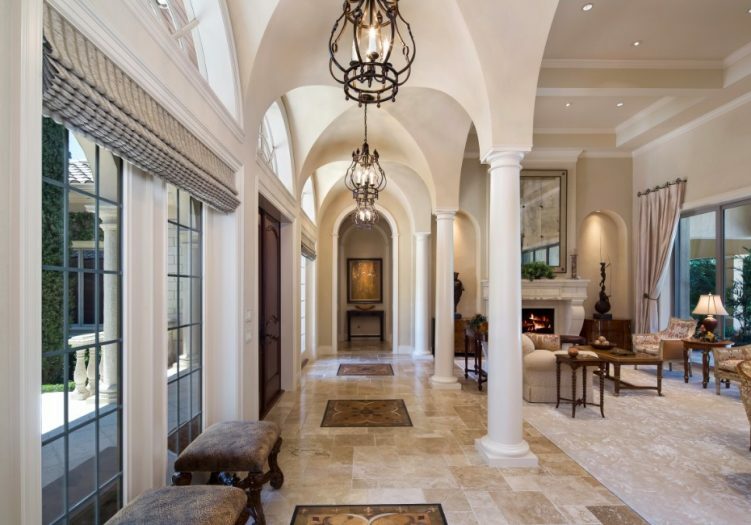 Enter this magnificent estate through the grand arched and column lined foyer into the formal living room featuring a gas fireplace and phenomenal outdoor views through the large disappearing sliding glass doors. 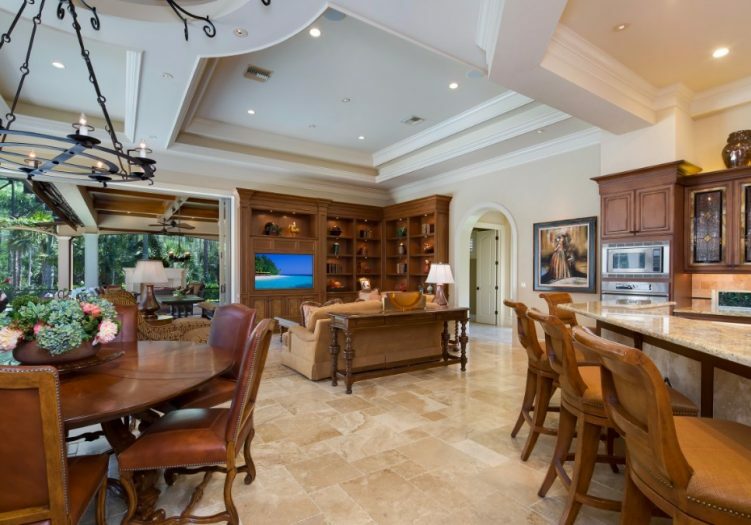 The flowing open floor plan of the gourmet kitchen is perfect for entertaining guests as it opens to the spacious family room boasting 90 degree disappearing sliders, providing seamless transition from indoor to outdoor entertaining and living. 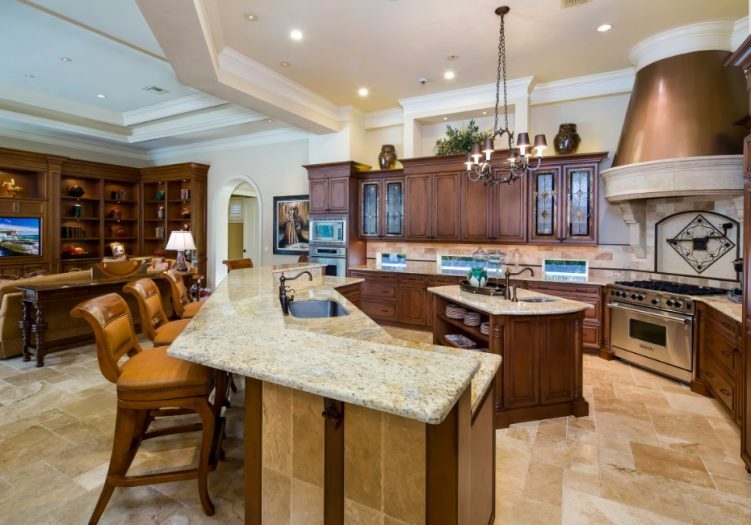 The kitchen features upgraded wood cabinetry, Wolf appliances, custom tile back splashes, walk in pantry and beautiful granite topping the work surfaces, large center island with sink, and breakfast bar. 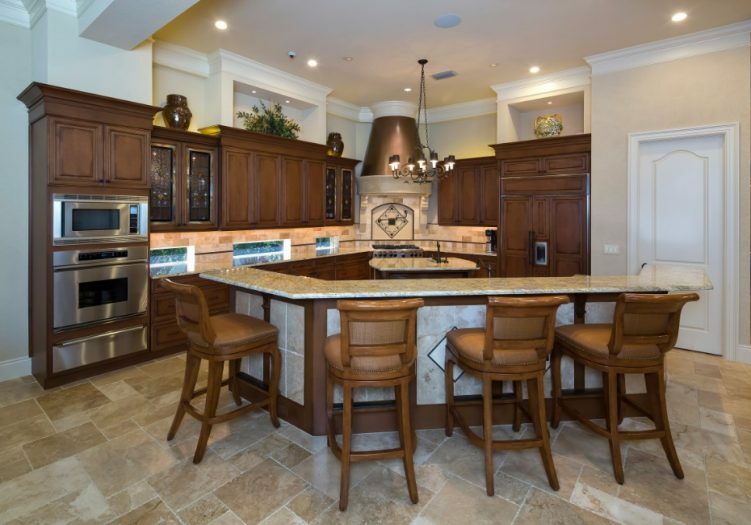 Serve special occasion meals in the tasteful formal dining room with a selection from the stunning wet bar complete with an under counter wine cooler and stained glass accented display shelving and cabinetry. 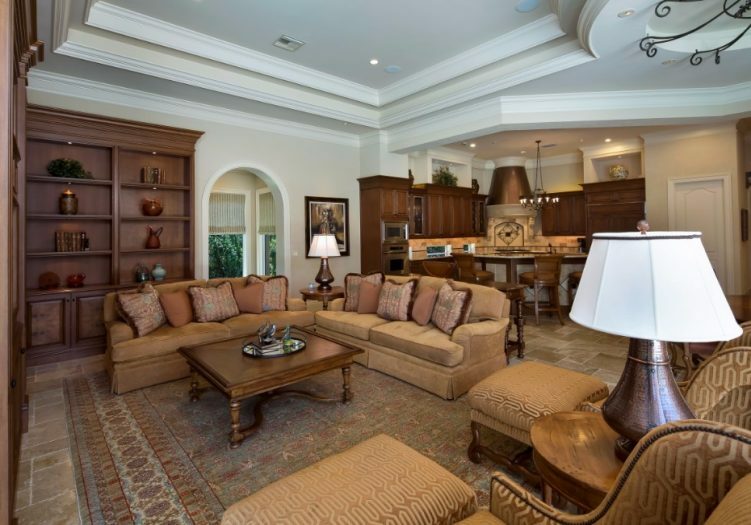 Relax in the master suite boasting fantastic views of the outdoors through abundant windows and doors leading directly to the screened lanai. 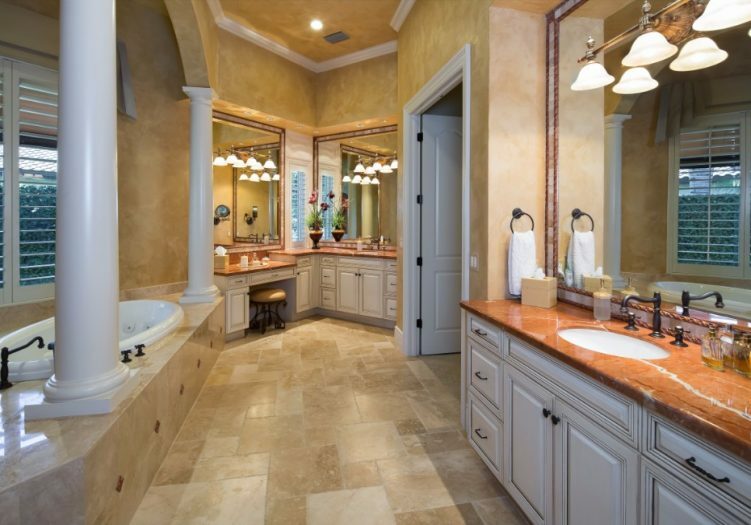 The master bath features his and her’s vanities, a walk-in shower and a large jetted tub accentuated with marble, ornate columns and a 90 degree window for a private and relaxing tropical view. The handsome den is truly one of a kind featuring rich wood flooring, wood ceiling accents as well as abundant display shelving and storage. 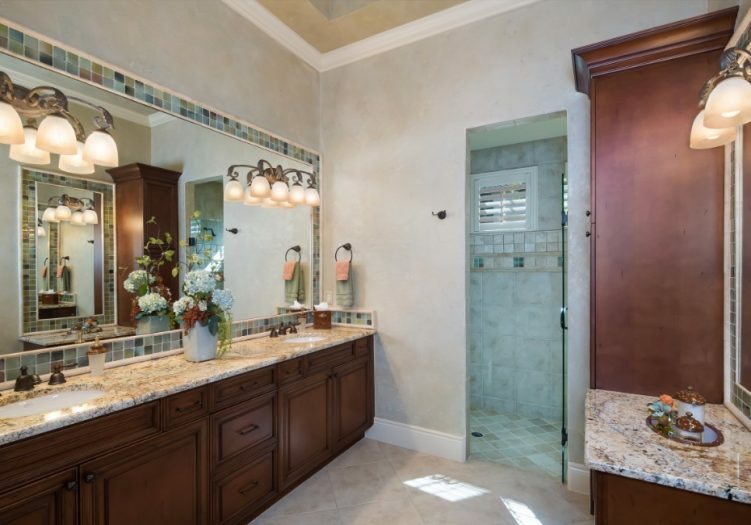 Guests will feel all the comforts of home in either of the guest suites or the private guest casita with a full bath, walk in closet and wet bar. 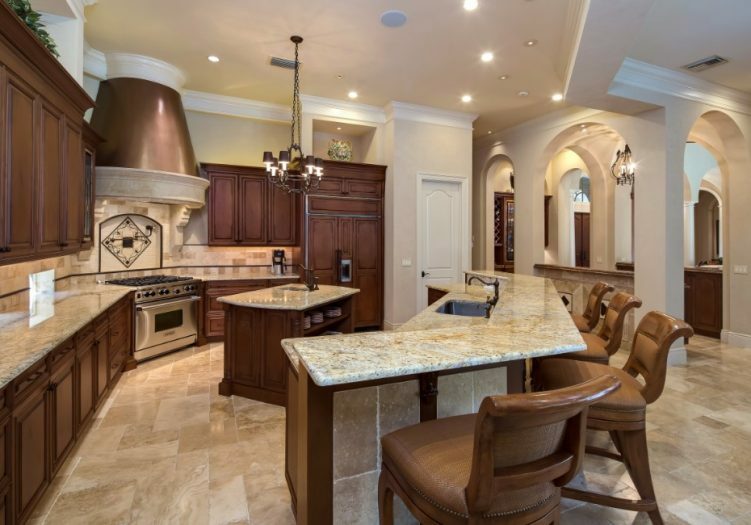 Entertain guests in the covered outdoor kitchen area with built in grill, sink and dishwasher, accompanied by multiple outdoor seating and dining areas highlighted by a covered gas fireplace. The stunning saltwater pool boasts a sun lounge area with bubbling water fountains, heated relaxing spa that spills over in to the pool and an amazing marble embellished waterfall feature. An electric awning provides delightful shade over the pool on those extra warm Summer days. A wall mounted waterfall feature with bubbling water spouts alongside the heated spa to complete the elegant appeal of outdoor living. 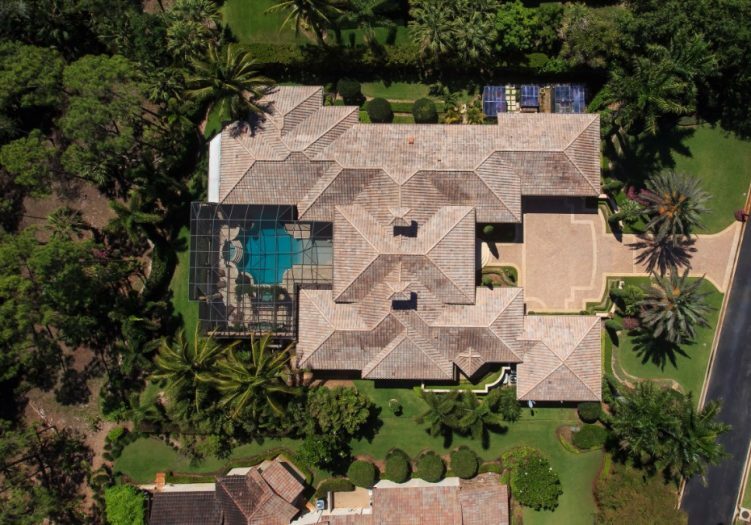 This luxurious home was built for seamless indoor and outdoor entertaining and enjoying tropical paradise.